Many successful people dream about owning their own airplane. Of course, it’s not the cheapest thing, which is why, if someone is finally able to buy one, it should be properly cared for. And, such care, is especially important during the winter, when it will most likely spend most of the time on the ground waiting to take off again. The most ideal option for parking an airplane is in an aircraft hangar, which now you can also rent right next to the Bratislava airport. Wind, storms, frost, and intense sunlight are typical of winter weather and can damage a plane far more than when it’s sitting on the ground than when it’s up in the air. A very dangerous combination during winter is heavy snow and frost, which not only increases the strain on the load-bearing and suspension elements of the plane, but also increase the costs for preparing the plane before take off. Proper parking helps you avoid similar worries and unnecessary extra costs. Most importantly it will extend the life of your airplane, which will, even after years of use, not lose its value. 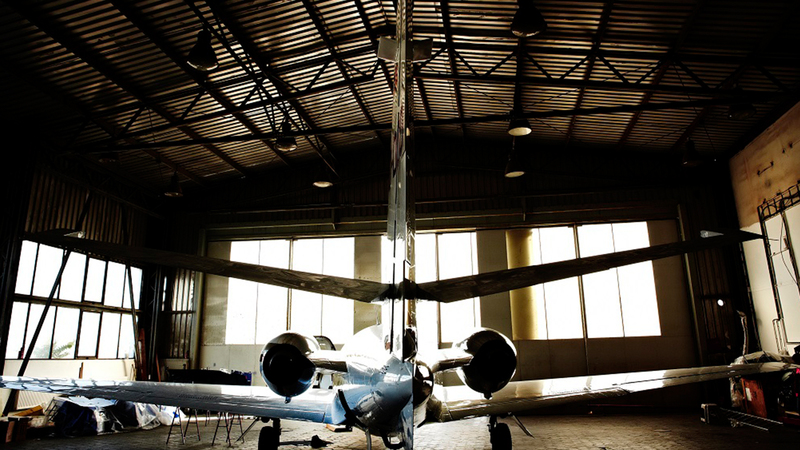 This is why the best thing you can do for your airplane is to park it in a hangar. By doing so, you eliminate the adverse effects of unpredictable weather while, at the same time, providing yourself with comfort. Furthermore, the camera system in the hangars of the BTS CARGO & HANGAR SERVICES, A.S. Company will help increase the security of your machine even in your absence. If you think that hangars located in the immediate vicinity of large airports belong only to big airline companies, you are wrong. Also at the Bratislava Airport you can find several hangars situated directly in the Airside, which can be rented by any owner of small or large planes. The BTS CARGO & HANGAR SERVICES, A.S., manages up to 15,000 m2 of hangar space, offering a suitable solution for everyone. For owners of small planes the possibility of sharing a large hangar with other airplanes, where they can park safely and conveniently, is more cost effective. Even though the hangar is used by several tenants, maximum security is guaranteed thanks to the security features in use. In the case of larger companies owning several planes, BTS CARGO & HANGAR SERVICES, A.S. offers separate, individual hangars for rent measuring from 350 to 4,000 m2. Of course, with all the necessary facilities. As the hangars are located right next to the runway a trouble-free take off is ensured at any time and under almost any circumstances. Within the airport there are also several other companies, whose principal business is providing maintenance and service for airplanes. If you are interested in our offer to rent airplane hangars, do not hesitate to contact us.